Ben Roethlisberger was evaluated for a concussion after leaving Pittsburgh Steelers practice on Tuesday. The quarterback went down after throwing a pass during a drill and was attended to by trainers before heading to the locker room. 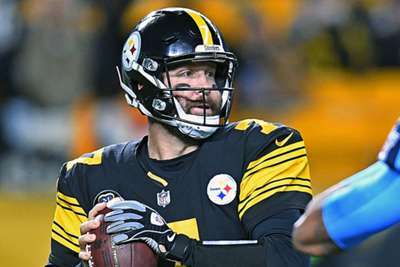 Steelers coach Mike Tomlin had already stated that Roethlisberger would not face the Green Bay Packers in preseason on Thursday, but he confirmed the 36-year-old took a hit. "Ben Roethlisberger sustained a hit today in practice," Tomlin said. "He is being evaluated by team doctors as part of the concussion protocol."